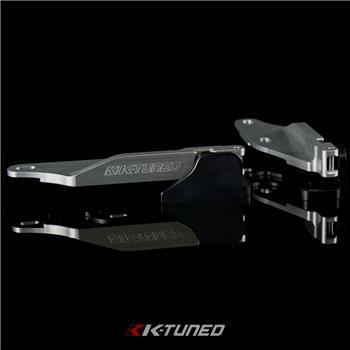 K-Tuned Quick Release Hood Hinge - Lightning Motorsports - Selling Speed since 1996 ! K-Tuned Quick Release Hood Hinges have been in development for years. Early 2016 final designs were finished and patent application completed. Too many times have we seen two people at the track removing a hood with a socket trying not to damage anything. Our Quick Release Hood Hinges are designed to be removed by one person quickly without tools. Once the hood is lifted past 75 degrees you can lift it right off. Below that the hood is held securely. There is a locking pin on all hinges. This is used to install the hinges. Once they are installed you can remove the pin. Made of 6061 aluminum and hard anodized to ensure long life. Install one hinge at a time. This will make it more manageable without trying to line up the hood. Get alignment and everything perfect making sure the hinge doesn’t contact anything. Once you finish the one side go to the other side. Once both installed and everything moves smoothly you can remove the lock pin.